Microsoft today pushed out the new Bing application for Android. 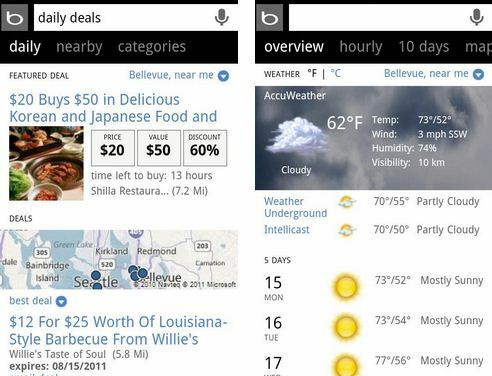 New Bing Application for android coming with some enhanced features along with Windows 7 Metro User Interface. Bing Application design entirely changed with this move and now android users will get simple, clean and modern Metro design that presently used in Windows Phones. New Home Page experience with Hotspots. New voice experience in Search and Directions scenarios. Bookmark search results and access them from autosuggest. Share any web result via email, SMS or Facebook. Brand new maps & directions experience with a split map/list view. Bing Android application need at least Android 2.2 “Froyo” operating System and it is totally free at android market. You can download it from below link. Download Bing Android application from here.